From Erstwhile: On one of our countless trips through vintage shops and antique stores we discovered our love of old wall charts. Realizing a decline in the availability of well preserved, high quality wall charts for a reasonable price, we set out on the quest of filling this void by republishing our favorite unique pieces. We constantly rummage through libraries, archives and antique stores across the globe to track down those lost forgotten gems. Our true passion is about preserving the beauty of imperfection and decay that comes with time and use. Sometimes in the state we find them, or by restoring artwork to its’ original condition, we aim to bring uniqueness into a world of mass production and smooth surfaces. The beautiful prints from a bygone past are crafted on German linen to give a quality feel to these superior products. 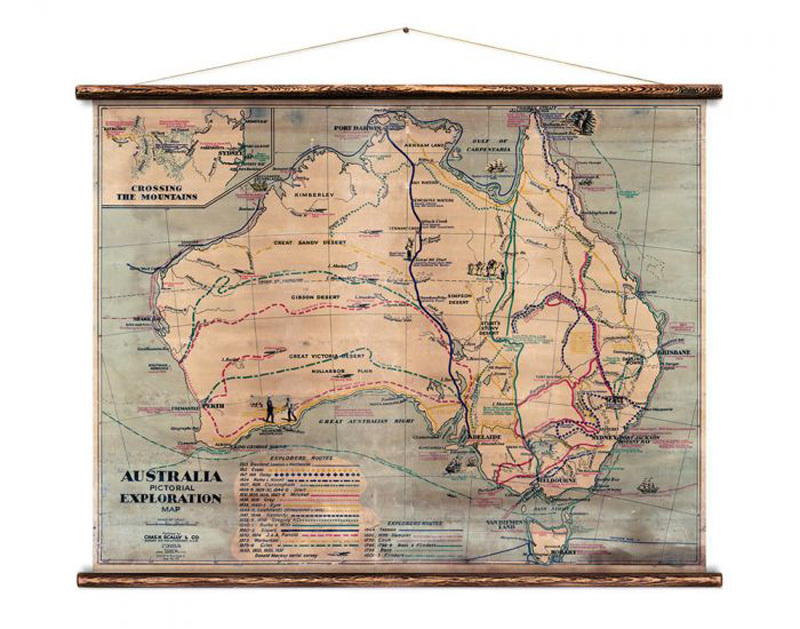 Look up as you enter our Moss Vale store to see these lovely wall hangings that would look great in any home, study or office.